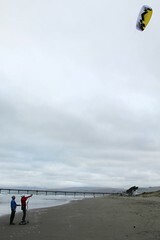 Yesterday we learned not to trust weather forecasts that say conditions are nice in McMurdo. 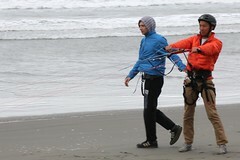 Because they aren’t. 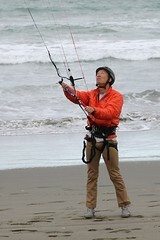 By which I mean our flight was delayed again. 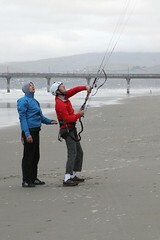 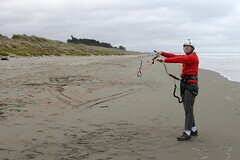 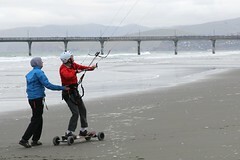 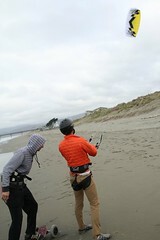 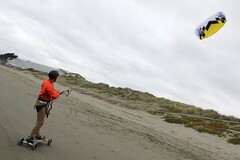 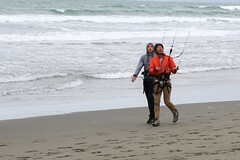 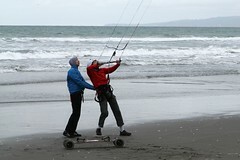 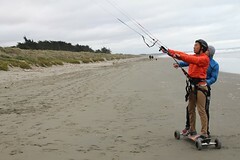 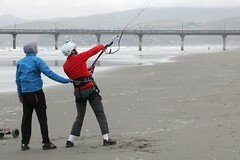 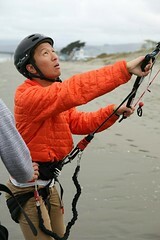 Ed and I spent the day starting on Ed’s dream of learning to kite surf. 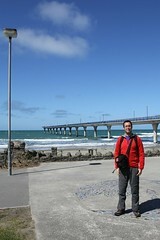 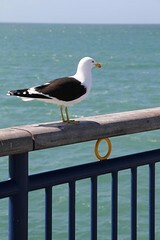 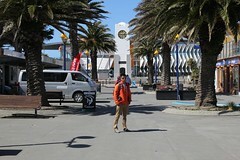 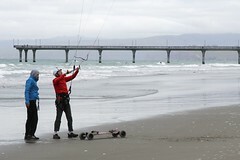 We took the bus out to New Brighton and visited a kite sports and appliance store (the appliances are the money maker). 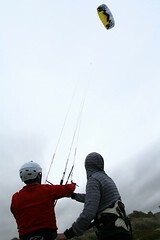 For our introductory lesson (on land) we mostly learned to control the kite. 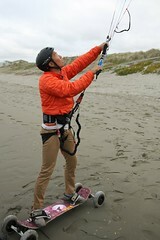 We also spent a little time with a board, not entirely unlike a skateboard. 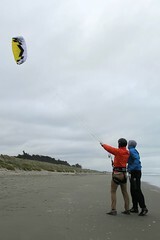 We achieved small spurts of wind-powered motion!